Aeropostale, Inc. is a chain of retail clothing stores specializing in clothing for teens from fourteen to seventeen. The company has an offshoot brand, P.S. from Aeropostale, which sells clothing for kids ages four through twelve. You can find a link for an Aeropostale application through the application links at the bottom. The publicly owned company is traded as ARO on the NYSE. Its headquarters are in New York, New York. Founded in 1987, the apparel company was named for the Compagnie generale aeropostale, which was an aviation company in Toulouse, France. The aviation company was in operation from 1918 to 1933. Some of the apparel company’s designs are inspired by the aviation company. Today, the retailer has 914 locations, mostly in malls, in all 50 states and Puerto Rico. It also runs 75 stores in Canada. The business runs an additional 97 stores in 22 states under its P.S. from Aeropostale brand. The company has 20 more locations, under both names, throughout Europe, the Middle East, and Asia. The retailer has a values statement that it intends its more than 25,000 employees to follow. The four core values it lists are integrity, respect, teamwork, and compassion. It does not discriminate in its hiring practices against people for race, religion, sexual orientation, gender identity, pregnancy, age, national origin, or any other such distinction. The specialty retailer has many career opportunities in its stores and at the corporate level. Apprenticeships are offered at its website, as well. Corporate job opportunities exist in Accounting, Construction, Design, E-Commerce, Finance, Human Resources, IT, Inventory Control, Legal, Logistics, Loss Prevention, Marketing, Merchandise Planning, Operations, Production, Real Estate, Sales Audit, Store Planning and Allocation, Technical Design, and Visual Merchandising. In-store and entry-level employment opportunities are available at the website, as well. In-store careers are presented in a clear hierarchy, starting with Sales Associate. Next is Store Sales Leader, then Associate Store Manager or Assistant Store Manager, Store Manager, Store manager Specialist or General Manager, District Manager, Regional Manager, and finally, V.P. Regional Manager. How old do you have to be to work at Aeropostale? You must be 18 to work at Aeropostale. Some positions require prior experience. You can read a detailed job description for each available position to make sure you meet any qualifications when you browse Aeropostale jobs on their website. The business offers merchandise discounts and competitive pay for the retail industry to all of its employees. Managers receive a comprehensive benefits package that includes medical and dental insurance, tuition reimbursement, 401(k), paid days off, and much more. Store hours vary by location, but Monday through Saturday 10:00 AM to 9:00 PM, Sunday 11:00 AM to 7:00 PM is typical. Sales Associate – As a Sales Associate, you would wait on customers and run the cash register, and also keep the store clean and merchandised. You also would help the store to achieve its sales goals. You must be knowledgeable about the brand, and current fashions in general. Pay for this position starts at minimum wage. Sales Lead – As a Sales Lead, you would have the same responsibilities as the Sales Associates, but you’d also supervise them and do some training. You would be called on to run the cash register in risky situations. This position requires two years of experience. Pay for this title starts around $9.00 per hour. Assistant Manager – As an Assistant Manager, you would assist in hiring and training Sales Associates, and act as a role model for employees, as well. Your responsibilities would include making sure the sales floor is properly merchandised. At least nine months of experience in a similar position or a college degree is required. Pay starts around $10.00 per hour for this title. Store Manager – As a Store Manager, you would be responsible for your store meeting sales goals set by the company. You would hire and train staff, and ensure that the store is merchandised according to company standards. Two years of experience as a store manager and three years as a retail supervisor are required. You could expect a salary starting around $32,000 per year. Would you describe yourself as confident? This business is looking for a staff that is confident and positive. Your interviewer wants to know if you will fit in and if you’ll be able to learn your responsibilities with ease. You can get an Aeropostale application by going through the application links below. If you found out a coworker was giving away merchandise for free, what would you do? The company is looking for workers who have integrity. You should let your interviewer know that you won’t look the other way about a coworker’s behavior that harms the company, and that you won’t behave that way yourself. Have you been involved in any charity work? Charitable donations are important to the specialty retailer. The company gives back to its local communities, especially through its Aero Gives program. Share any experiences you’ve had doing charitable work, and do let your interviewer know that you are familiar with Aero Gives. Can you name some of the brands we sell? Check out the website or visit a brick and mortar location before your interview to see what the business sells. You should know the names Bethany Mota, Unique Form, Live Love Dream, and Tokyo Darling. You should also be able to list the types of clothing and accessories they sell. Can we count on you? Reliability is another trait this business is looking for in its workforce. Be on time for your interview. Let your interviewer know that you can get to all of your shifts and meet the requirements of your employment. You can apply for jobs at Aeropostale online at their website, below. If you would like to know how to apply for Aeropostale online, go to their website, below. You will not be able to download application form, get a printable application form, or upload your resume. You can browse Aeropostale careers and use a direct application process. You will not need to fill out multiple applications, because they will keep your free application for consideration if the right position opens up. While this company promises a casual working environment, it also wants to hire people who are aware of current fashion trends. Wear something like the clothing the company sells, but not too casual. 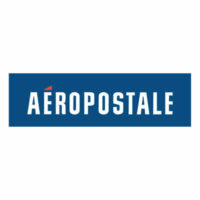 Visit the website through the application links below to browse Aeropostale jobs online and fill out an online application. Remember to maintain a professional attitude during your interview and show that you can work with others by being receptive. While there is no printable application for Aeropostale, you may apply online by browsing the available jobs at the website below and filling out an application form while you’re there.